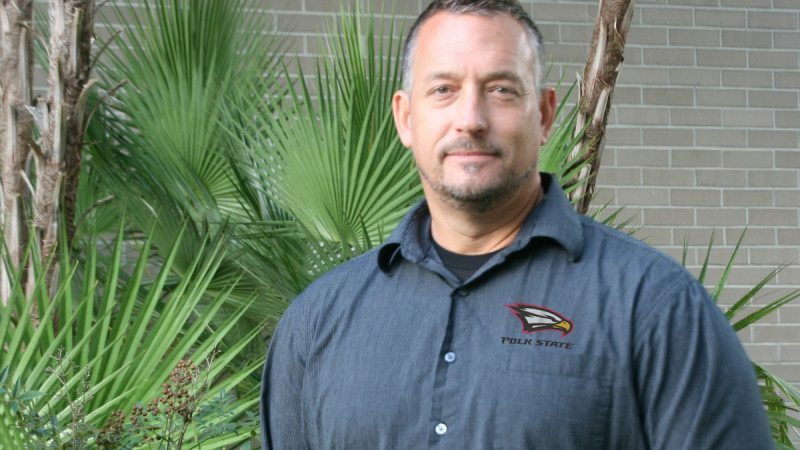 Polk State College has named Steve Linamen as its head women’s soccer coach. 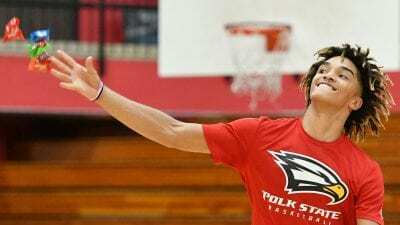 With a veteran resume, deep community roots and a vision for his athletes’ future, Linamen is expected to take the Polk State program to the next level. Linamen, 43, has spent most of his life either playing or coaching soccer, while studying all aspects of the game. He has spent nearly 10 years climbing through the coaching ranks to earn his first college head coaching position. Linamen is Polk State’s second women’s soccer head coach. He follows Polk State College alumnus Bill Read, who was the program’s first coach — hired in 2003 when the program began. Read guided the Eagles to two District F titles, seven Region 8 titles and two NJCAA national championship appearances in 2007 and 2009. Linamen has followed Polk and is well aware of the legacy he’s been tasked with continuing. With the hiring of Linamen, the College has completed the process of converting all head-coaching positions to full-time. Much of Linamen’s experience comes from participating in soccer in Central Florida, which is rich in soccer talent. He starred on Auburndale High School’s first boys’ soccer team — earning Defender of the Year honors. 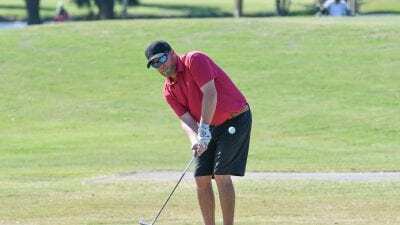 When he returned to Polk after playing two years at Anderson University (Indiana), he played competitively with the Kicks and Auburndale Adult League. With an eye on becoming a college head coach, he continually added coaching licenses, certificates and diplomas to his resume while steadily climbing the ladder to higher-level competitive programs. He began by coaching the Auburndale Scream and Lakeland Futbol Club competitive programs. Linamen returned to his alma mater where he spent nearly a decade coaching the Bloodhounds girls’ soccer team to a 104-71-19 record. He took the Auburndale to seven district semi-final appearances and won a district championship in 2011. He was also named FACA Coach of the Year. 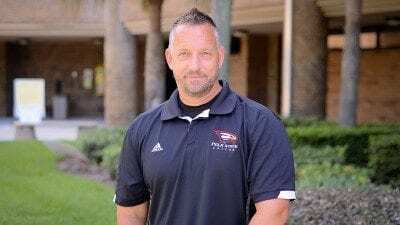 Still developing his resume, he served both the Warner University and Southeastern University women’s programs as an assistant for two seasons. He was torn between his love of the area and a desire to become a college head coach. He’s watched the growth and level of soccer in Polk County and nearby areas rise and he hopes to be part of its legacy with the Eagles. 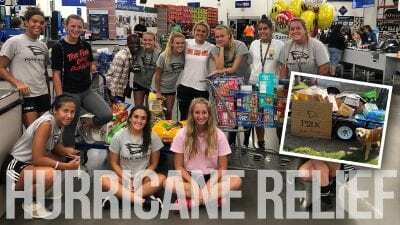 Linamen has watched local programs such as the George Jenkins High School girls’ team and the Auburndale High School boys’ team develop a tradition of excellence. He’s also seen the revitalization of the Rowdies, the development of club soccer in Polk County, and the growth of nearby clubs like Orlando City Soccer and its youth academy. Plus, the Eagles play their home games in the shadow of the Florida Youth Soccer Association at Lake Myrtle Park in Auburndale. The upside of soccer in Polk County and the possibilities at Polk State quench a thirst for Linamen, who is always studying the game. Polk State’s soccer team competes in the NJCAA Region 8 and is a dynamic part of the Eagles athletic program. Every team has earned at least one championship within the last two years. The Eagles kick off the regular season against Southeastern University on Aug. 24 at 7 p.m. at Lake Myrtle Park in Auburndale.